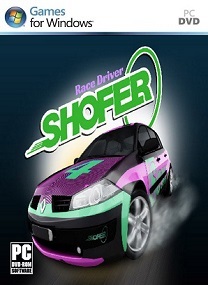 SHOFER Race Driver is a racing genre video game by Zhoori Maang Studio. 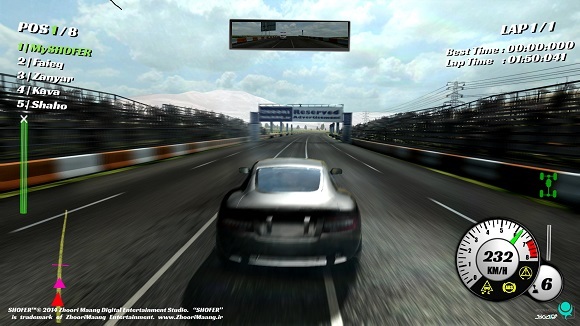 The player controls a race car in a variety of races, the goal being to win the race. In the tournament/career mode, the player must win a series of races in order to unlock vehicles and tracks. 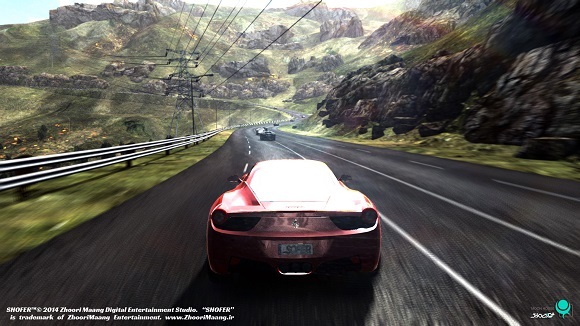 Before each race, the player chooses a vehicle, and has the option of selecting either an automatic or manual transmission. in SHOFER the cars can suffer mechanical and visual damage. Career Mode allows players to unlock new vehicles and new race tracks. Players progress through the career mode by beating a series of “Tournament”. Players complete the career mode (SHOFER Tournament) upon defeating the “Stages” and the kings of Street for each event type discipline. Tournaments are a set of Stages held at a various locations and tracks. Placing in an event on the Tournaments will earn the player points. Players can complete all the events on a Tournaments to earn enough points to win the Tournaments. Players will unlock new tracks and vehicles and with every win and king of a Tournament. A race organization starts with one Tournament and a challenge Tournament which provides cars for the player to use at no cost. Players can pick one of the provided cars as a prize after winning a challenge Tournament and buy each unlocked vehicles. • Visual tuning is just sets of livery for each cars. Circuit – Players race with up to seven other racers on a closed race course with a set number of laps. Sprint Class – Up to eight racers take part in a race split into two teams with different performance classes with each having four racers. 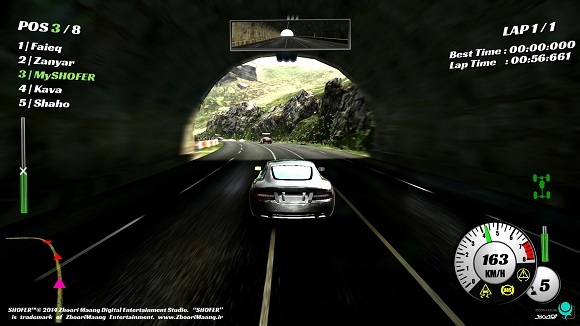 Speed Challenge – Players race with up to seven other racers on a closed race A to B course. 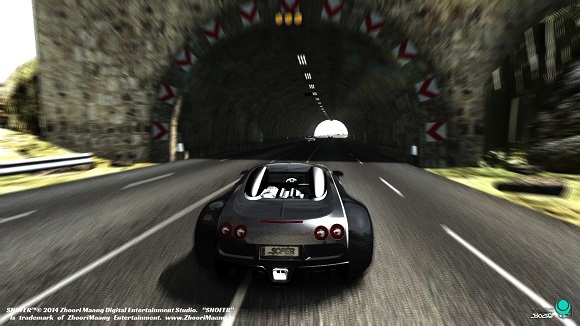 The courses are generally designed for players to hit very high speeds. Drag – Racers face off against each other in a knock-out tournament. • Easy graphic optimizer feature to rise down and up graphics quality during game play to have a fixed frame rate. • Special Kurdish music tracks. 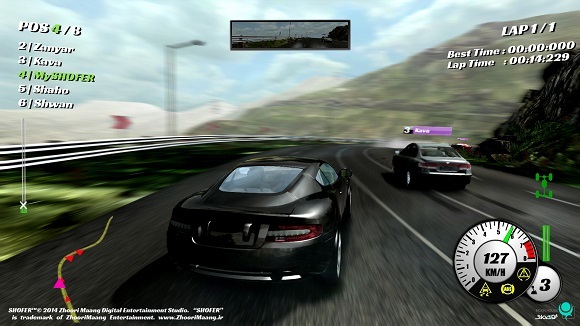 Players can freely choose cars and race them in a race day they’ve created. Players can choose the events and locations. Vehicles can have their performances affected by the condition of their components. Lightly damaged vehicles will see a small drop in performance. Fairly damaged vehicles will see noticeably reduced performance, faulty steering or failing suspension. Heavily damaged vehicles will see a significant reduction in performance, steering and suspension. A vehicle will become “Totaled” if it reaches, exceeds its damage resistance. Players cannot repair their vehicles during an event but it will automatically repaired on Tournaments finished. Many of the races take place on well-known roads in Kurdistan Mountains. There are a total of 24 drivable cars in SHOFER.